A dental crown is a very delicate procedure that takes time and finesse to do correctly. It is not a procedure to be taken lightly. To create a dental crown it takes a sculptor. And while must people can form clay, only a small population of people can create art. 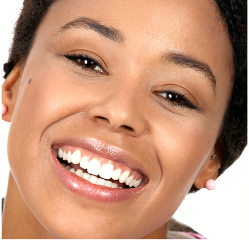 A dental crown is to be the centerpiece of your smile. If you are in need of a dental crown it is because there may be a deficiency in your smile. Missing teeth can cause social anxiety that can hinder job opportunities as well as social interactions. 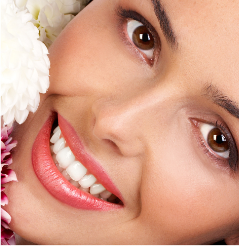 We can transform your smile into something you can be proud of. We can help you to the creation the most life-like dental crowns that are anatomically correct, as well as aesthetically good looking. We have the staff and the state of the art technology give you the perfect dental crown consult. It is all because we care about our patients smile. We know that a better smile will lead to a better life. The dental crown is much more of a comfortable procedure than a denture due to its assimilation to the normal contours of the jaw. It is effectively an artificial tooth that fits into the mouth and is cemented to the jaw like a normal tooth. It will fit over the remains of the tooth in question and it will make the fitted tooth look better than new. It can be cleaned and cared for like a regular tooth with flossing and brushing. We recommend that you avoid hard foods on the side of the mouth when chewing food in the beginning to allow for the cement to solidify and integrate into the mouth. With a dental crown, the tooth is filed down first to accommodate for the prosthesis. The dental crown is then fitted over the treated tooth so that it looks natural. First a temporary dental crown is put on the tooth. An impression is created of your tooth so that a permanent dental crown can be made with the porcelain, metal or a combination of both. Then the permanent dental crown is cemented in place on top of the tooth. It is crucial to have a dentist who is familiar with this process. Only the best dentist can make the best dental crowns. Come by our Cary dental office to get a dental crown consultation now: 919-468-2030. A dental crown can be made out of whatever material the patient chooses. 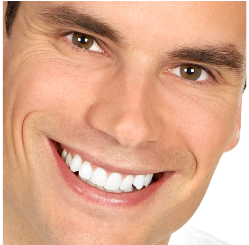 Typically porcelain dental crowns look the best. They can mimic the teeth surrounding the dental crown using a dental coloring scheme for proper match making. That way your friends and family will never know that your dental crown is a prosthetic tooth. Although porcelain dental crowns look the best they have a tendency to dislodge if not handled correctly. Here at our Cary dental office we know the correct way to cement dental crowns to your tooth so that they seldom come loose. Come by for a dental crown consultation today. Metal dental crowns can be made out of gold as well. Gold is hypoallergenic meaning that there is a little chance of having an allergic reaction to gold. One reason that there are patients that prefer gold dental crowns is because they dislodge from the mouth even less than porcelain dental crowns. There is also a combination of gold and porcelain where there is gold lain on the inside of the dental crown with a porcelain outer shell to make a hybrid dental crown that has the benefits of both.